is ready for instant download. 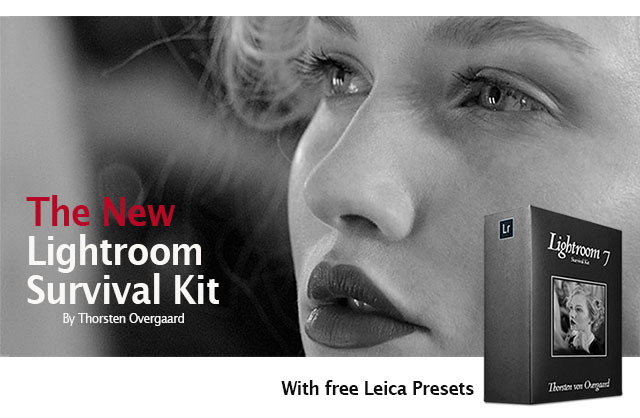 It now comes with my free Leica Presets ($48). This package has been refined through 11 years and is now updated with new sections on printing, calibration, Apple True Tone, black and white editing, how to clean out space and speed up Lightroom, the philosophy of a "floating archive", how to make archival backups, how to effectively keyword, as well as extra bits on how to keep your smartphone clean and sync your entire image library with iPhone and iPad. All has been rewritten to make it fast and easy to finetune your workflow. Save $446.40 today wiht he CODE: AUGUST on checkout. 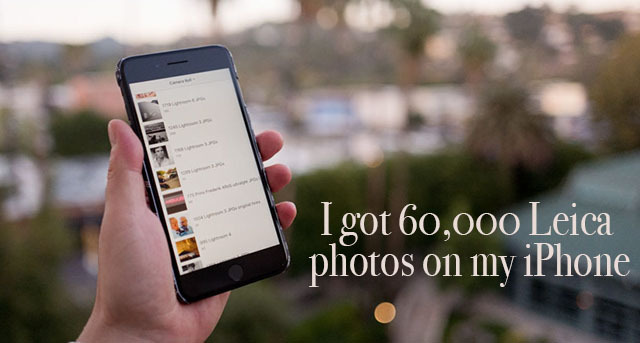 You get the new 390 page eBooket, Leica Presets that works for all Leica camera models, video tutorials, as well as tutorials on Photoshop and Media Pro digital asset management. Order today. Instant delivery. 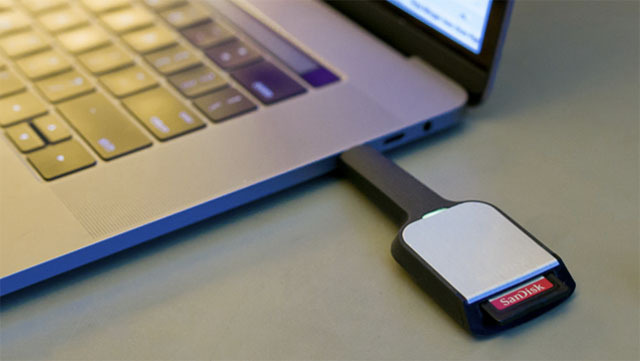 Getting people to grasp digital workflow completely has always been a challenge, especially through ever-changing technology. Even in live workshops for small groups, and yes, even one-on-one, it has been very difficult to get the understanding of workflow crystal clear and without tears and frustration. 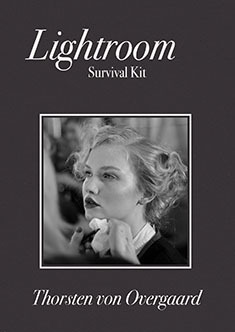 The Lightroom Survival Kit is the best way I have found to actually teach people workflow so it is simple and can be applied by anybody. 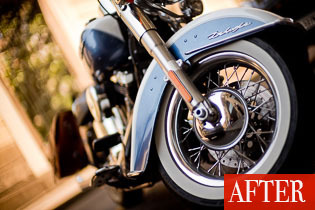 You can go through the steps at your own pace, you can return to specific elements such as export settings, or how to calibrate a screen, or how to tilt a crop, or how to remove purple fringing. It all makes sense, and it's easy to get a proper workflow implemented step by step. The tools and features explained, and how to use them. 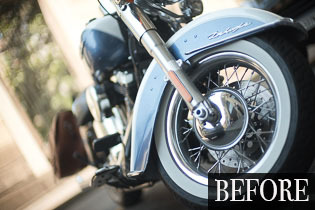 No complicated walk-through of Lightroom but a laser-recise route on how to get the results you want. 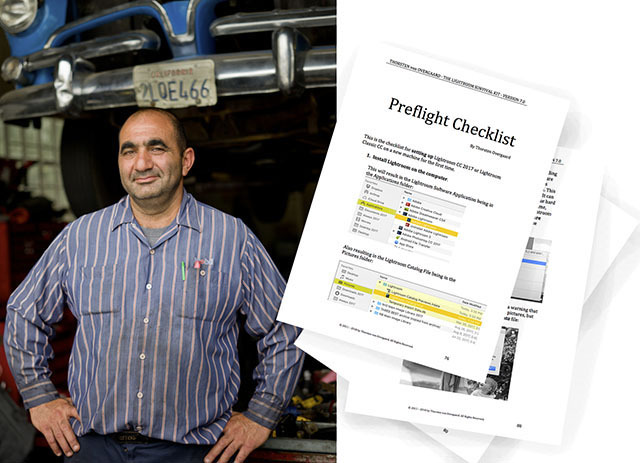 My new Lightroom Survival Kit includes a "pilot's preflight checklist" to set up Lightroom so it's perfect and you don't miss a beat. 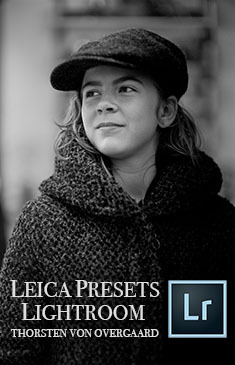 You get a free package of the Leica presets I made for myself and use every day. 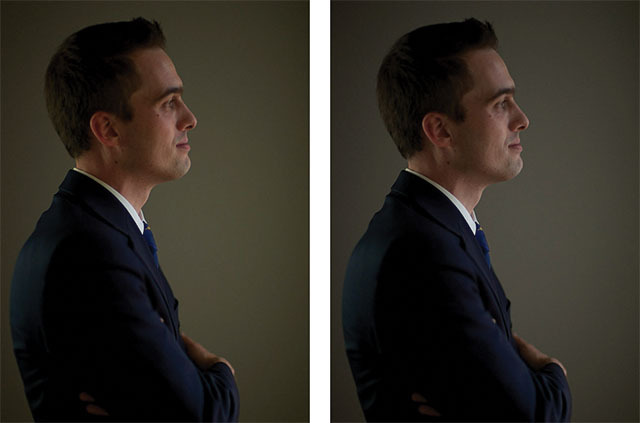 How to adjust "impossible colors", and how to make sparkling black and white photographs. From color to better colors, to monochrome tones that sing. 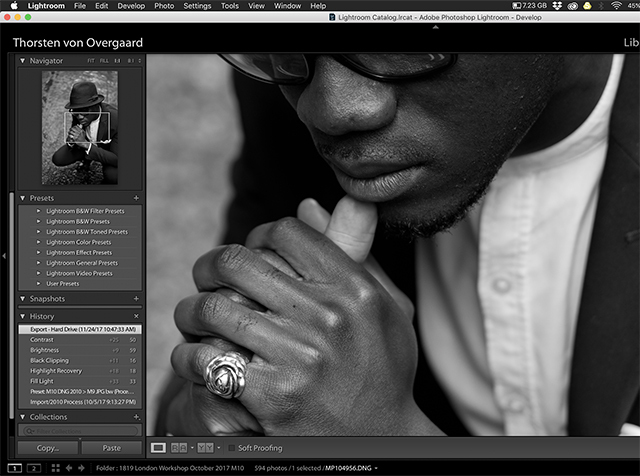 Lightroom Import Checklist goes through importing your pictures from the memory card to Lightroom, step-by-step. 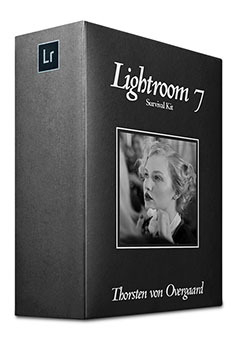 If you have the previous Lightroom Sruvival Kit, the price is only 198.00. With discount code: AUGUST it is reduced to ONLY $39.60. "This kit is awesome! I am glad I got it. My workflow was so cluttered and I was in utter digital mess. It's simple and easy to follow. 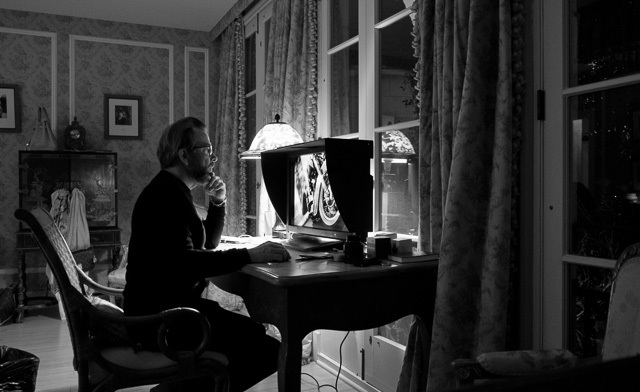 I have read countless books on Lightroom , this beats them all" - B.S. "I recently bought your “Lightroom Survival Kit”. 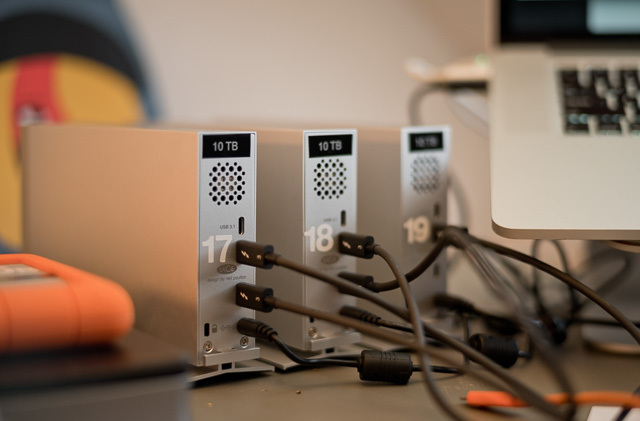 I found the kit very useful and am quite encouraged to change my workflow from keeping everything in Lightroom catalogue (I have around 50,000 images) to keeping the final images outside as finished jpegs."